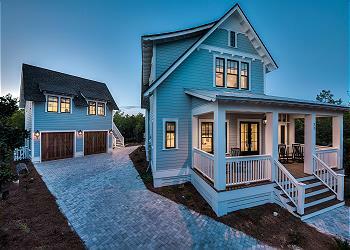 This 3BR + loft/ 4BA home is a newly built, beach style cottage.It comes with 4 adult bikes, charcoal and gas grill, numerous porches, a gourmet kitchen and a private drive for parking. 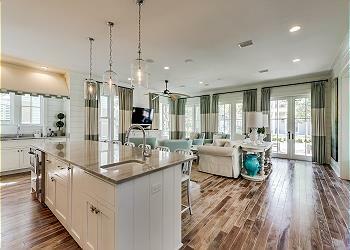 This gorgeous first-floor unit combines Floridian style with unparalleled convenience. Gorgeous Restoration Hardware Decor, 200 Feet of Private Beach, Private Pool, Gulf Views - What more could you want out of your 30A vacation?! 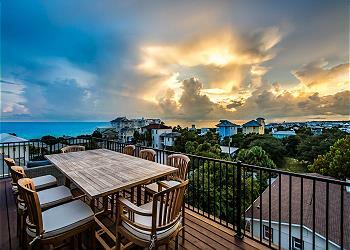 101 Compass Point 2 is a sensational gulf front condo with phenomenal views of the Gulf of Mexico, making this an unforgettable vacation location! 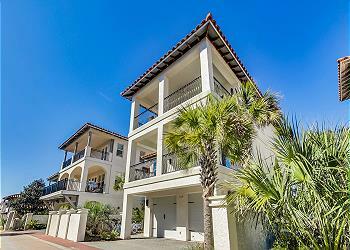 Escape to this stunning 5 bedroom/ 4.5 bathroom home located in Dune Allen Beach. 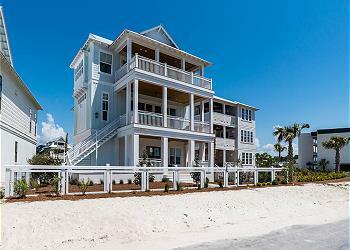 Guests will love its fabulous Gulf Views and space for 18 guests. 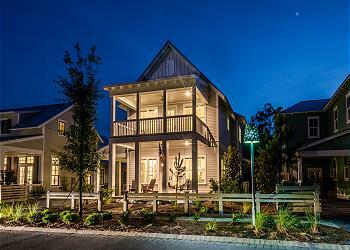 Brand new professionally decorated home in Watersound Bridges. 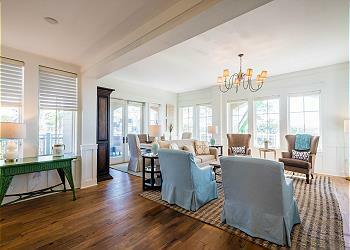 First floor features open concept kitchen, living and dining room. Outside features a great porch that leads to a heated pool and hot tub. 17 N Shingle is a 3,162 sq. 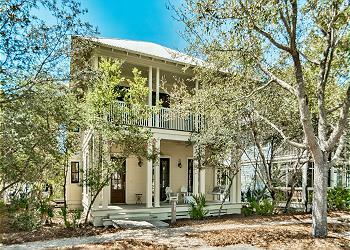 foot home in WaterSound. 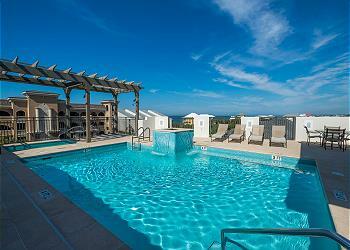 Take a dip in the private pool or drive the golf cart to the beach for hours of entertainment. 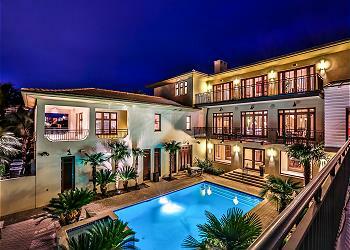 Spend your next vacation at, "Vermillionaire" this spectacular WaterColor home is sure to impress. 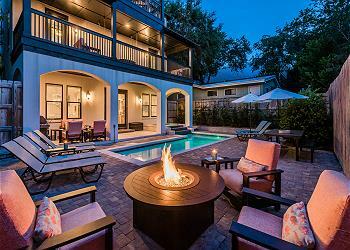 46 Vermillion Way boasts the largest private pool in WaterColor, indoor fireplace and a carriage house! Check availability and book today! 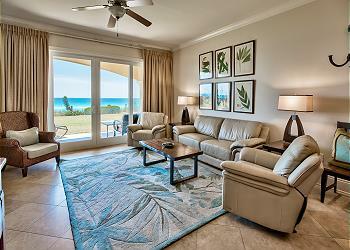 Stunning Gulf views and impeccable accommodations make this first floor luxury condo the ultimate beach retreat. 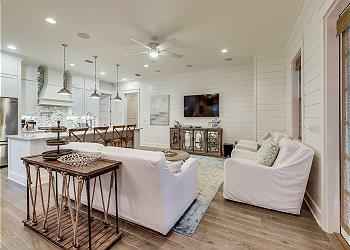 Featuring 4 bedrooms, 3 bathrooms and room for up to 10 guests, Adagio C102 is perfect for the whole family! Check availability and book today! 12 Viridian Park Drive is a breathtaking home with a private pool, in the heart of a popular WaterColor neighborhood, making this an unforgettable vacation location! 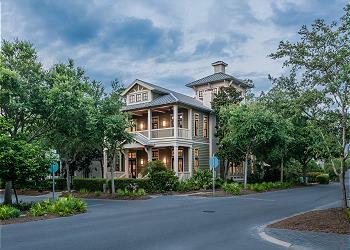 Coastal comfort in an upscale location. 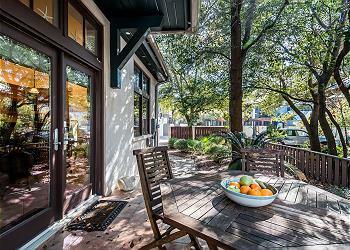 This beautiful home in the Park District makes the perfect getaway for friends and family. A beautiful designer kitchen with hardwood floors, gorgeous counter tops and appliances is the perfect place to gather at meal time. 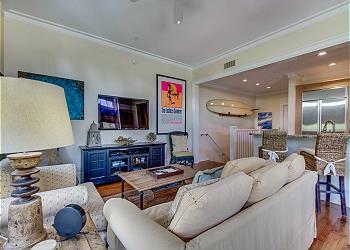 2nd Floor Condo with resort-like amenities located on desirable Hwy 30A! This newly decorated, two story, 4 bedroom / 4.5 bath home is located on a large corner lot, providing immediate access to a private pool and 5 Pools in WaterColor. 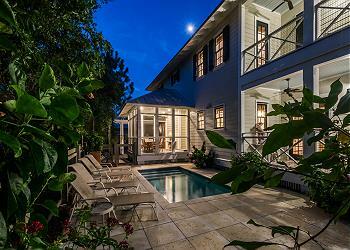 With its exceptional size, this home is perfect for multiple families and sleeps 14. 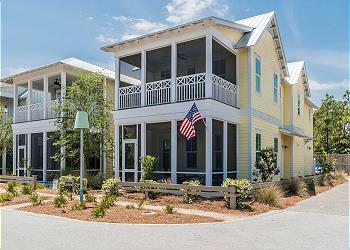 47 Salt Box Lane is a beautiful home located in a peaceful neighborhood, making this an unforgettable vacation location! 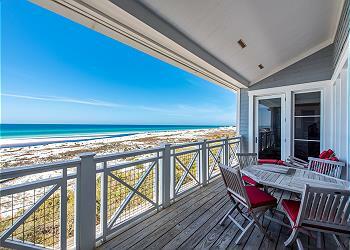 "Tiger Thyme" is located in the heart of Seagrove Beach, just a few blocks off the beach! Great for big groups or family reunions! 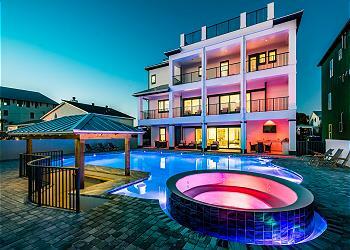 Large, heated private pool and hot tub! 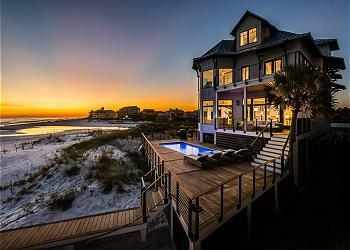 Gorgeous deck! 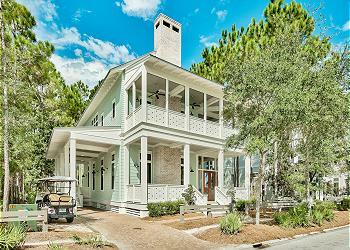 Spend your next beach vacation at 33 Lyonia Lane, a fabulous 4 bedroom home tucked away in WaterColor's Cottage District. 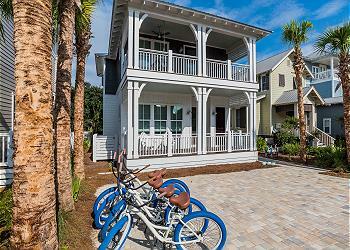 Explore WaterColor and the surrounding area on the 4 bikes provided or spend endless days at the beach located just minutes away! 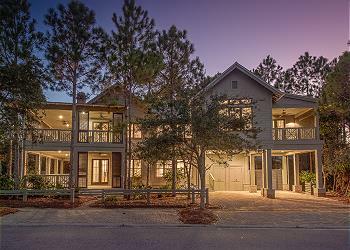 119 Dune Estates is an extravagant five bedroom, five and a half bath, home in Seagrove that offers discounts for weekly stays. 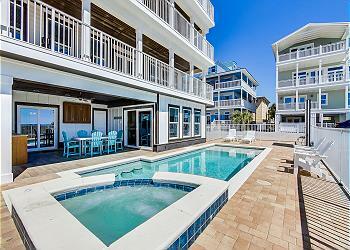 Enjoy your Seacrest Beach vacation to the fullest when you stay at 21 Beachcomber Lane! This brand new five bedroom, five and half bathroom home comfortably accommodates fourteen guests. Check availability and book today! 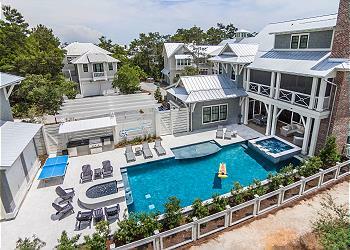 Spend your beach getaway at "All Decked Out" a six bedroom Gulf front home located in Grayton Beach!